How you can take part in National Girl Scout Cookie Weekend 2017? Mark your calendars for February 24-26, 2017 and get ready to celebrate another great National Girl Scout Cookie Weekend! · Hold a Cookie Booth Sale. 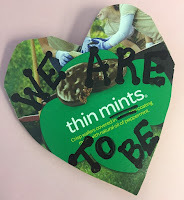 A booth sale is when a Troop sets up a table or booth at a public location and displays and sells boxes of cookies directly to customers, allowing them to eat Girl Scout Cookies right away. So get out there and bling your booth! 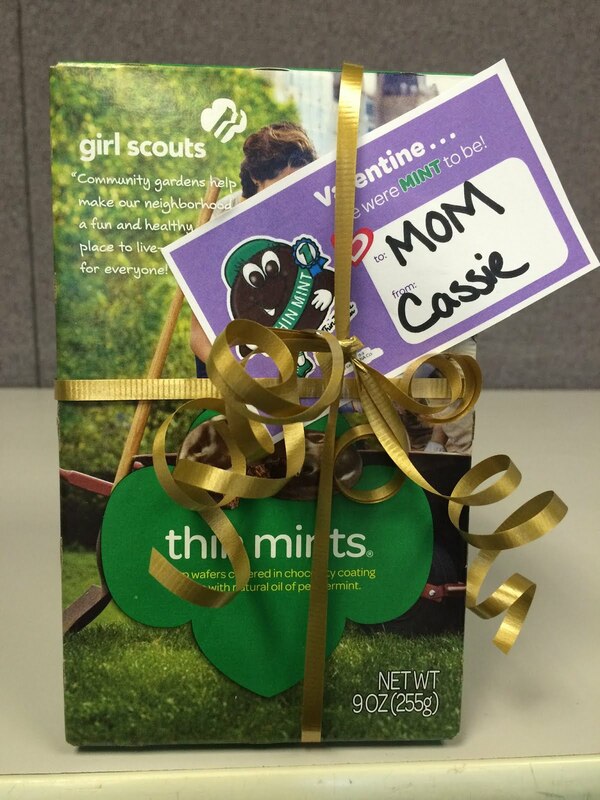 · Go door-to-door with your Girl Scout Cookie Order Form. Ask your neighbors if they purchased all of their Girl Scout Cookies? Call your relatives and tell them about your goals for the Girl Scout Cookie Program. Educate your teachers about all that you learn by selling Girl Scout Cookies. They might want #OneMoreBox! · Get Social. 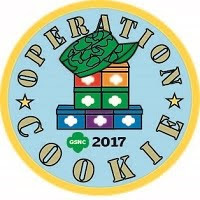 If you have Facebook or Twitter account, post about Girl Scout Cookies and your National Girl Scout Cookie Weekend Festivities… be sure to be part of the conversation by including #NGSCW, #CookieBoss and/or #OneMoreBox in your Tweets and posts and of course tagging us on Twitter (@GSNC), Instagram (@GirlScoutsNassauCounty) or on Facebook (Girl Scouts of Nassau County)... and yes, it’s okay for Girl Scout parent’s to use these hashtags as well if their Girl Scout asks for help. · Are you looking to find Girl Scout Cookies? Download our new Girl Scout Cookie iPhone or Android app to find Girl Scout Cookies in your area or visit www.girlscoutcookies.org. · Learn about the 5 Skills girls develop through the Girl Scout Cookie Program. · Share your Cookie Story. 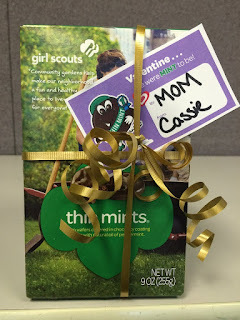 GSUSA is calling for submissions of your amazing #cookieboss(es)! o Where: Stories should be submitted at girlscouts.org/shareyourstory. 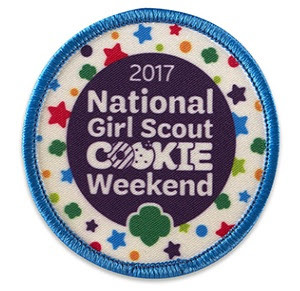 Now, that your Troop is taking part in National Girl Scout Cookie Weekend 2017, you can purchase the special 2017 Cookie Weekend patch for the girls in your Troop at the GSNC Shop. ON FEBRUARY 22 of each year, Girl Scouts and Girl Guides from 146 countries celebrate World Thinking Day (WTD)— that’s one BIG celebration! This World Thinking Day, Girl Scouts and Girl Guides will explore, stretch, and take on new challenges—and celebrate what it means to be part of the global sisterhood that is Girl Scouts and Girl Guides. Not sure what fun things girls can do to celebrate World Thinking Day? Here are earned activities as well as games your Troop can take part in to celebrate Girl Scouts and Girl Guides all over the world. Will you be my cookie valentine? With Valentine’s Day only a few days away, you’re probably wondering what to get your valentine. Well, with it being Girl Scout Cookie Season, we’re thinking about Valentine’s Day from a different perspective…. one that involves that tasty treat. 1. Give the gift of cookies. Simply purchase a box or two or more of your valentine’s favorite Girl Scout Cookies, tie them up with a pretty bow and add a Girl Scout Cookie themed Valentine’s Day cards to your gift. 3. Make a donation to Operation Cookie in your Valentine’s name, for a gift to our soldiers too. 4. Bake some sweet treats with Girl Scout Cookies as an ingredient. 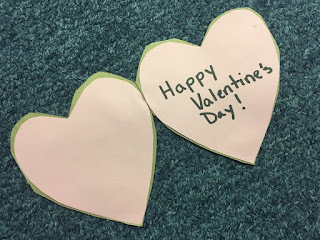 Try out Thin Mint Brownies and cut them into a heart shape or Mini Samoa Cheesecakes. For more recipes visit Little Brownie Bakers and GSUSA.